The idea came suddenly. Corinth is there not far away (90km). 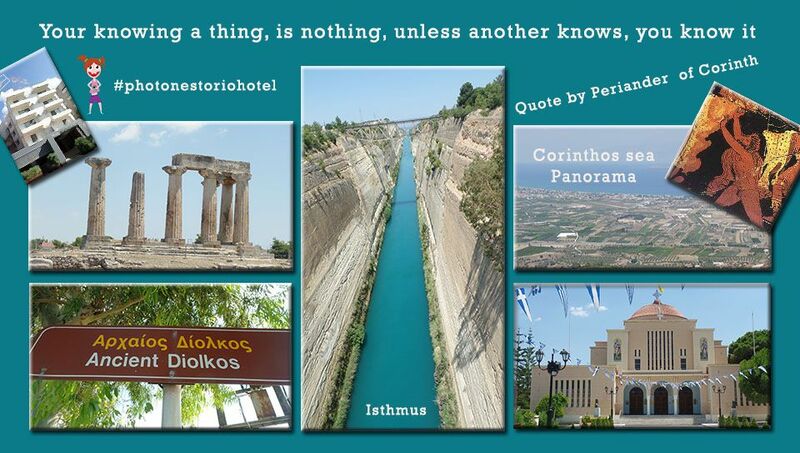 Another trip to Corinth makes very good to you. This place has so much to tell. Many visitors loved it. Many have conquered it. The forces of nature struck it. But it resists. 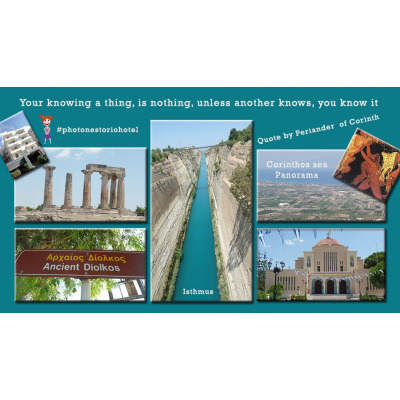 The ancient Corinth, the Acrocorinth rock, the remnants of the ancient theater, the new city, the temple of Apostle Paul, the port, the sculptures give admiration to visitors. The sea is grateful. It has taken the name of the city for ever. Mythology feeds it with the narrative of the King Bellerophon even today. Let his winged horse be well in action in the central square of the city. We believe that this place has a great future because it has history, culture and of tourism. Unfold the route, approach the isthmus safely (a canal built by Hungarian engineers a century ago), overtake the city head to Ancient Corinth cross the picturesque village that embraces the ancient city. Dash the ascent from the helical road to the entrance of the impressive castle of Venetian architecture. Enjoy the silence of the plain. Details the secrets of the castle no one will learn them .. The Museum of Ancient Corinth with the columns of the ancient temple of Apollo await you. The Museum is a very mignon. You will find in epigraphic and electronic form a lot of information. The Roman Conservatory and the ancient theater stand sad there. They will never again see their old glories. What was the last piece to play? You need plenty of will or ignorance or indifference to avoid the tasteful challenges of the traditional taverns of the village and head to the heart of Korinthos to find a modern, delicious and very helpful restaurant to have lunch. The passage of the isthmus from the side of Loutraki and even a fleeting tour of Loutraki is the culmination of the satisfaction that you will receive from your visit to the beautiful eyebrows or machinistor of Korinthos and Loutraki. This excursion Faliro - to Corinth was designed by executives of #Nestoriohotel on behalf of Italian visitors in July 2017.